I am happy to report that the Engineering Excellence Award Gala was a great success this year due in no small part to Nancy and her terrific staff at ACEC/VA. The Gala continues to improve each year and is recognized as the premier awards ceremony for top engineering projects by firms in the Commonwealth of VA. Congratulations to our winners, the participants of the Emerging Leadership Institute, our Legislators of the Year, and this year’s Rising Star. I look forward to seeing you all again at the Jefferson next year! We are pleased to announce that ACEC/VA has hired Susan Motley to consult and facilitate with our leadership to improve key facets of ACEC/VA. She will work with the Board to review and improve ACEC Virginia's bylaws, strategic plan and explore member engagement opportunities. This is exciting as we take ACEC/VA to a new strategic level. Don’t forget to sign up for the Winter Meeting in Annapolis, MD from March 10-12th. 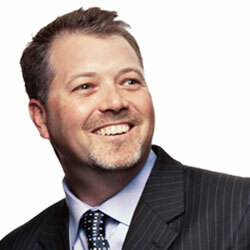 John Sarvay with Floricane will be presenting on Strategic Planning and Appreciative Inquiry. Also join us for some fun on a tour of the Naval Academy on Friday afternoon. Hope to see you there! Also be sure to add our Annual Conference at the Hotel Roanoke from June 23-25th to your calendar!